This is the first of a ten-book series. 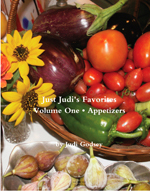 Just Judi's Favorites • Volume One • Appetizers is filled with great recipes collected through the years from friends, family, and some, self discovered. Order yours today and ENJOY! 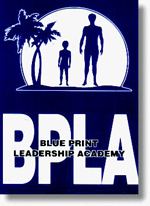 This is the second of a ten-book series. 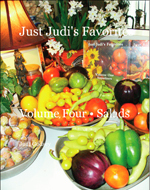 Just Judi's Favorites • Volume Two • Breakfast, Brunch, and Late Nite is filled with great recipes collected through the years from friends, family, and some, self discovered. Two cook books in one since the first half of the book is Breakfast Food and the second half is filled with great sandwich recipes. Order yours today and ENJOY! 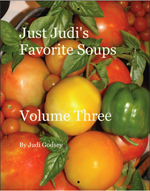 Just Judi's Favorites - Volume Three • Soups is the third in a series of ten Just Judi's Favorite Cook Books. It is a collection of recipes from friends, family, and self-discovery through the years! Order yours today and ENJOY! 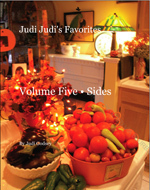 Just Judi's Favorites - Volume Five • Sides is the fifth in a series of ten Just Judi's Favorite Cook Books. It is a collection of recipes from friends, family, and self-discovery through the years! Order yours today and ENJOY! Great friends, great times, great memories, great possibilities! If you want to go somewhere - any where - contact Babs or Bill Lyons, and they will make it happen. Brett is one of the most talented artists I know. Look up his site and you will simply be amazed! Go get em,' Brett! Bruce is one of my favorite artists and now lives and paints in Russia. She used to live across the street from me! Amazing work. I love it! Giving Virginia Beach a Town Center. I served on the Board for eight years, and I beam with pride every time I drive through the Town Center. My good buddy, Dee, has an incredible photography business. Photography for any event... even for your pets! Oprah called her one of the funniest people on the planet. I agree. She cracks me up. She cracked Robin Williams up, too, when she dated him. (Imagine...) She has literally taken a few jokes from the Follies, too! Nice new website, Diana! Elginia is a long-time friend and is incredibly talented! She has been recognized nationally and deserved your attention! Please look up her site and relish the images – all of her styles – ALL of them – are special! This man has given so much back to his community, it is not even funny. 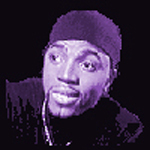 God bless you, Ervin "Blueprint" Parker! Man! 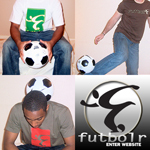 For the latest and greatest in soccer (futbol) wear, check out Leroi's new soccer site. Really cool stuff. 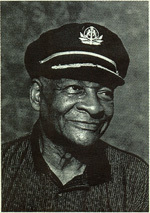 Leroi is somewhat of a soccer star himself and even went on to become a coach for the Mariners here in Virginia Beach. Gooooooooooooooooooooal! 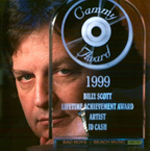 If you are ever in Myrtle Beach, look up JD Cash and hear him croon. Sweet, sweet, voice. Sitting around at dinner with Kevin and Wendy one night, we came up with the idea for Kevin to market his BBQ sauce. He did. It is a HIT! Try it! Michael Cloud-Butler is a neighbor. I have watched for months as I walked "Gandalf," first, and now "Ollie" past his house each day. It has been fascinating to watch him take a twisted tree trunk and slowly transform it into his own magnificent expression. How does he DO that! He is also incredibly talented with pen & ink and photography. 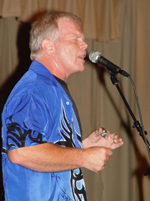 Big Joe Shelton does more than sing the Blues. He has a masters' degree in art. Check out his stained glass website! Mike is one of my oldest and dearest friends in the area. He used to be my publisher! I never knew he was such an incredible artist until a few years ago. He is simply magnificent! MY University. The oldest state suppored University for Women in the country. Awesome! Beautiful! Tara now has Peak Fitness in Steamboat Spring, Colorado. If you are out that way, stop in and get fit! 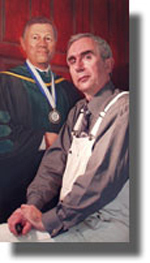 Robert Simons has been helping me with my hearing aid needs for years. He is simply the BEST! And the best part is... he comes to you, you do not have to go to him. His in-home visits make the whole process so much more private and comfortable. Having trouble hearing? Give Robert a call today! You can trust his expert advise. Sylvia Nery Strickland is my neighbor, and as every day passes, we find we have more and more and more in common. It is really rather humorous as we continue to discover just how small the world really is. She is hugely talented and her work can be seen all over the city. She actually told me she appreciated my compliments since they were coming from another artist. Now THAT is funny! No diggity! Teddy is still producing and spreading his musical genius. I recently joined the Board for the Salvation Army and am so very impressed with all that they do. I simply had no idea! ARC, the Adult Rehabilitation Center, is a true asset to the community. I am very proud to be a part of it all. What a great organization.